Global India Technologies is a leading mobile app development company that offers mobile app and software development services for Android, iPhone, iPad, Windows, Blackberry, Symbian and many other phones. A custom mobile app with uniqueness is very essential in order to boost performance and functions of mobile phones and devices. Few big names such as iPhone, Blackberry and Android with their specific set of features need technical finesse to meet business and individual needs. We at Global India Technologies are very much supportive for your business requirements and so we help in building customized mobile application development and mobile software development based on your business requirements for efficacy, added value and functionality. Our team of experienced app designers and developers can create and build custom iPhone apps for your business using iPhone SDK based on your requirements. You will get highly innovative, interactive and very easy to use apps that are developed in sync based on the custom needs. If you want to get maximum benefits related to iPad devices, then our professionals can help you with iPad app development services. Our team has years of experience in iOS and are prepared well to deliver their best in time. Expect unique user interfaces, state of using UI designs and best displays. 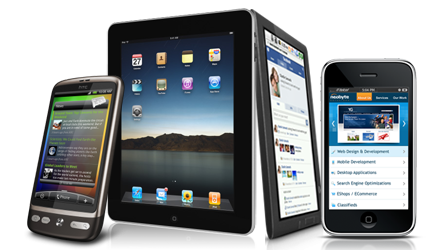 Global India Technologies offers a wide range of options for Android devices. Our team of mobile app developers with their skill and experience can program apps using Google Android OS specifically for your business depending on your requirements. Our features include highly innovative, interactive and easily usable apps which are developed in sync with your custom needs. You can expect cutting edge features related to this platform. Get time testes technical expertise to differentiate yours from others. Get the best support for designing, testing and maintenance services from us. Our experienced and talented team at Global India Technologies can build custom smartphone apps development. Get the best out of the box mobile applications for your business from our team which uses best mobile app builder. Global India Technologies is a great place for mobile technologies where you can get Symbian mobile app development services as well. Get customized app design and development for your business as per your requirements and expectations. Get the best Windows mobile app developed for your business specifically for you with the help of our talented Windows app development team. You can expect scalable and robust mobile software or applications for your business. Global India Technologies have highly skilled app developers who can develop excellent quality native Android Apps that suit your requirements. The knowledge of working with a different customer base and most recent innovations has empowered Global India Technologies to embrace best practices and proven strategies. Global India Technologies is on of the leading and most financially reasonable company, developing mobile games. Global India Technologies is a great place for mobile app solutions. We excel in many skills to provide great technology solutions. You can get the right solution for your business with right results. You get project done at the cost effective prices and in time submission. Client satisfaction is our motto and we succeed in it. We are friendly and we stay connected all the time.